This is a super quick post today. I wanted to show you 3 super quick cards using one of the free items in the Sale-a-bration catalogue - the Pedal Pusher stamp set. This is such a versatile set that can be used for many different occasions. 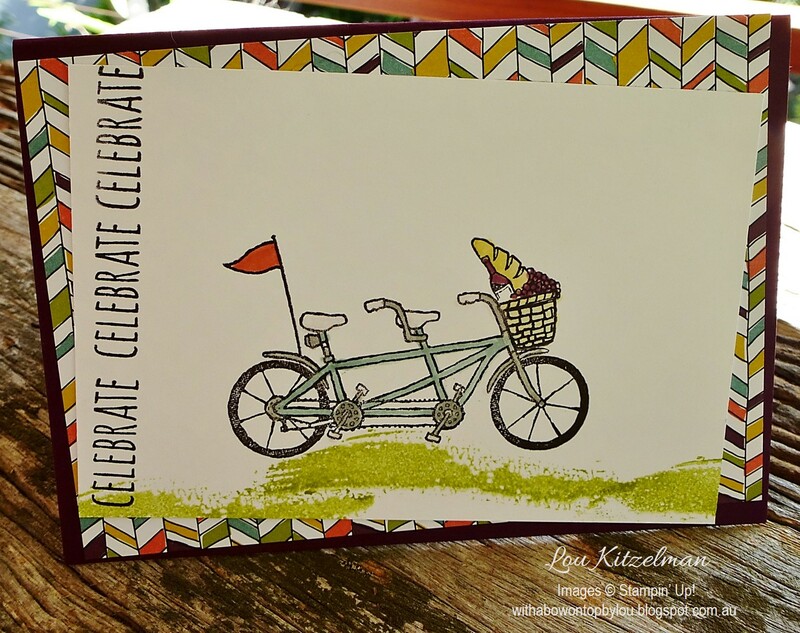 It works well with the Beautiful Ride stamp set here. I've also used a piece of Botanical Gardens Vellum that you can get free if you spend $90. Being photopolymer means that it is so easy to line up the images. 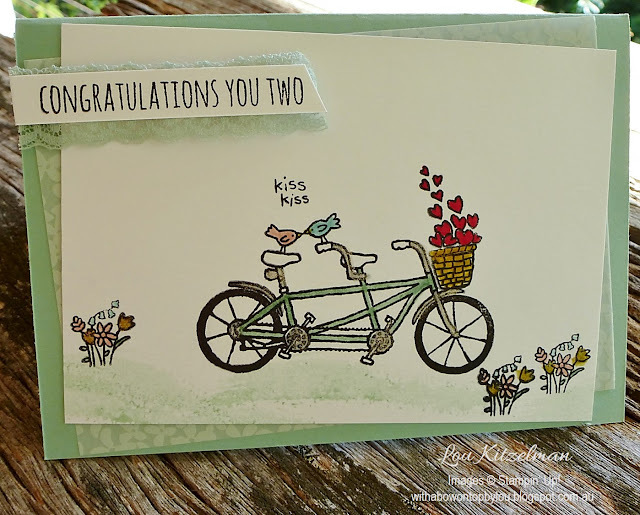 So easy to make 2 little birds kiss! 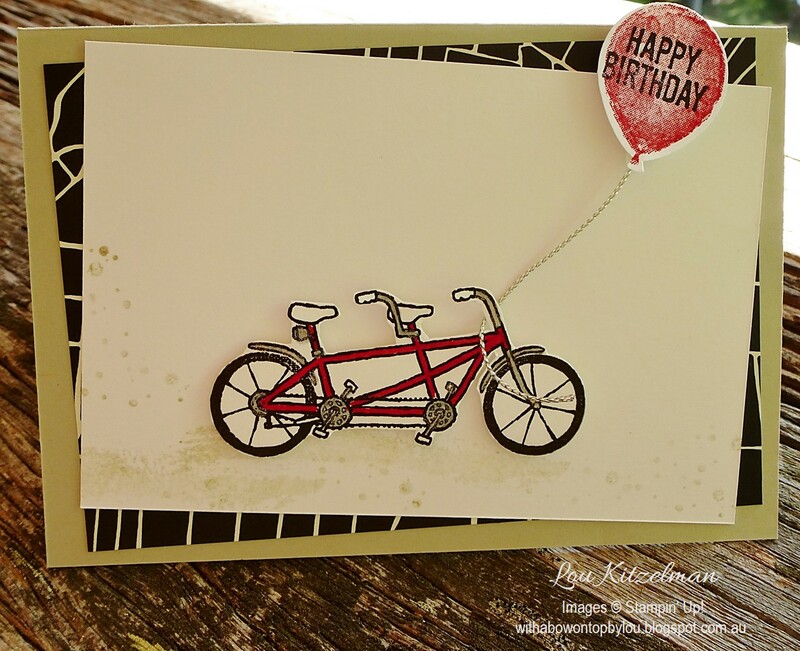 Add a balloon from the Balloon Builders set for a simple unisex card. The swoosh from the Sheltering Tree stamp set works really well for the land. Fussy cutting the bike adds some depth. 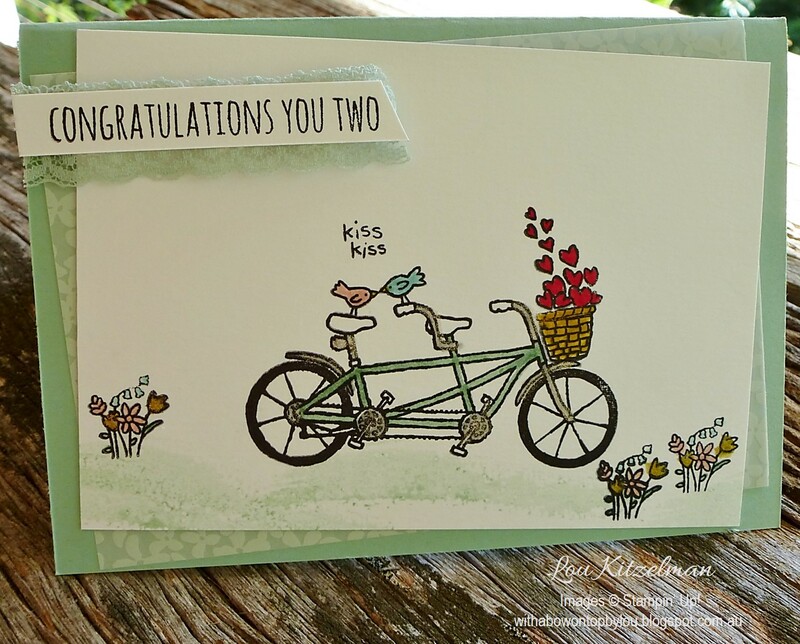 The background piece on this card is from the free pack of Wildflower Fields DSP. I have used Stampin' Write markers in the colours in it to colour the images. See my post from yesterday for more tips on using this stamp set. You have only 2 days left to take advantage of these free products. For every $90 you spend from any current catalogue you can earn a free item. There are so many great items to choose from. Click the links below or on the right hand side of this blog to place an order.